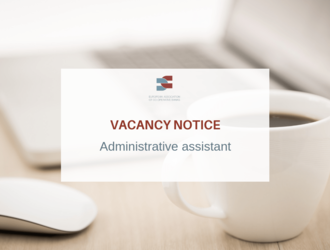 The administrative assistant is part of the overall team of assistants of the Association. His/Her responsibilities however, lie with the support of the secretariat. - Contact person with IT providers. - Preparation Brussels meetings (meeting room, coffee/tea, catering). Solves problems using standard procedures. The European Association of Co-operative Banks (EACB) represents the interests of co-operative banks in Europe. With 28 members representing 3.000 banks, co-operative banks have a long tradition in serving 209 million customers, mainly consumers, retailers and SMEs. Quantitatively, co-operative banks in Europe represent 81 million members with a total average market share of about 20%. The EACB offers a dynamic work environment in an international and multilingual team of policy experts. We offer a competitive remuneration package, including lunch vouchers, group insurance and transport allowance.